Studies of time-related biological phenomena have contributed to establishing a new scientific discipline, the chronobiology, which considers biological phenomena in relation to time. Sports activity profoundly affects the temporal organization of the organism and endocrine rhythms play a key role in the chronoorganization of individuals and are particularly important for correct physical activity. Correctly reading rhythmic hormonal variations of the human organism opens new horizons to sports medicine. This review is aimed at clarifying the relationship between endocrine rhythms and sports activities on the basis of the latest data in the literature. Data acquisition was obtained from three databases (PubMed, Scopus and SPORTDiscus), paying particular attention to reviews, meta-analysis, original and observational studies on this issue. 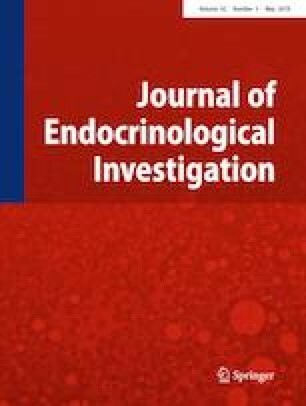 After the description of the general characteristics and parameters of biological rhythms, the main endocrine rhythms will be described, highlighting in particular the interrelationships with sports activity and focusing on the factors which can affect negatively their characteristics and consequently the psychophysical performances of the athletes. Knowledge of this issue may allow establishing the best form of competitive or amateur activity, through the collaboration of an informed athlete and a sports physician attentive to biological rhythms. By taking into account that alteration of physiological rhythmic temporal organization can favour the onset of important diseases, including cancer, this will lead to the expected performances without impairing the correct chronoorganization of the athlete. This manuscript is a review of the literature and does not contain original research either on animal or on human subjects.